It’s a brand New Year, so we should be flowing full of creativity right? We’re pumped full of our New Year’s intentions to be our most authentic version of ourselves and follow our dreams. Why is it then that when we sit down to make things actually happen, our minds are suddenly as blank as a fresh piece of paper? What if we miss that magical window of New Year Resolutions? How can we make the changes we want if we don’t even know where or how to start! As someone who writes for a living, it happens to me far more than I’d like to admit. There are days when the words simply flow out of me like a river onto the page, some days even when I don’t have a pen and paper and frantically try to commit the inspiration to memory in hope I can transform them into magic at a later date. Yoga is not only a wonderful way to get your body moving, it’s also a fantastic approach to activating our internal energies, shifting our thought patterns, and opening ourselves up to creative inspiration and positive energy. As our breath, body, and mind come into balance through our yoga practice, so do our ideas and thinking. The ability to clear the mind of unwanted chatter and focusing on just you and your practice can make the flow of energy and thought a lot easier. Remember your last yoga practice, and the feeling of absolute calmness and potential running through your veins? It is one of the most incredible feelings to come from Savasana after a delicious practice and feel alive, energetic, and inspired, a feeling that lasts throughout the day. Yoga gives you that fabulously dreamy afterglow, inspiring you to break through on that latest project suddenly, as though a cloud has been lifted and the light shines through! 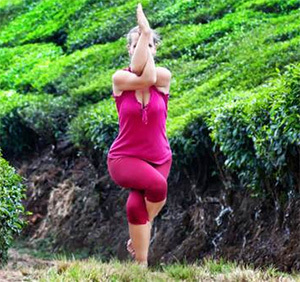 When you’re looking for a way to clear the cobwebs in your mind, be the change you’d like to see in the world, and make way for new ideas, try these six yoga poses to inject creativity into your world. You can’t force creativity. Sometimes all you need to do is relax, take a break, and let the wisdom bubble up naturally. Child’s Pose invites you to relax your forehead to the floor or a block, lengthen your spine, and create space within the vertebrae. It asks you to lay your arms next to your ears, cutting off sight and creating a safe haven in which to just be. You find yourself alone with simply the sound of your breath, the perfect moment to relax and ease the mind. We store emotions in our hips, so hip openers like Pigeon Pose can help people release a lot of negative emotions. The hips and pelvis are also a center for creativity. This part of the body aligns with the second chakra, which represents our reproductive, sexual, and creative energy. I love to do this hip opener whenever I feel creatively blocked. As a bonus, it’s also a shoulder stretch. We can hold a lot of tension in our neck and shoulders, so Eagle is a good way to soften both tension and any apprehension that might be holding us back from self-expression. 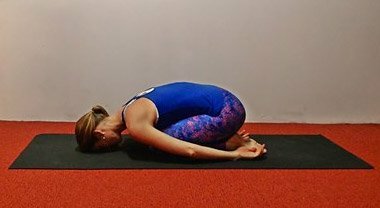 This pose is one of yoga’s best aphrodisiacs, as the blood flows straight to the groin and once the position is released, the energy follows! Because each part of the body must work together here, this pose brings harmony throughout the body, a sense of peace, balance, strength, and it requires you to completely open the body from chest to hips. An open body is an open mind. This pose tells your body and mind that you can and you will! The unusual axis your body finds in this pose helps you adapt to new possibilities, also opening up the hip flexors and chest, helping you open your heart and fulfill your ability to love. There’s something amazingly grounding about Headstand. It offers a fresh perspective, which is crucial to being creative. And it can’t hurt that this pose brings a little extra oxygen and nourishment to the brain. Sometimes, when we’re desperate for answers to pressing questions, we need to turn ourselves upside down to think and see things clearly. Practicing this pose with a focus on the breath clears everything as we find our balance and strength. Use your breath to envision unity and clarity and feel those creative juices flow! When you let go of expectation, of control, of trying, and just simply be—that is when the universe presents its messages to you! I hope that these poses give your brilliant imagination the kick-start it needs!